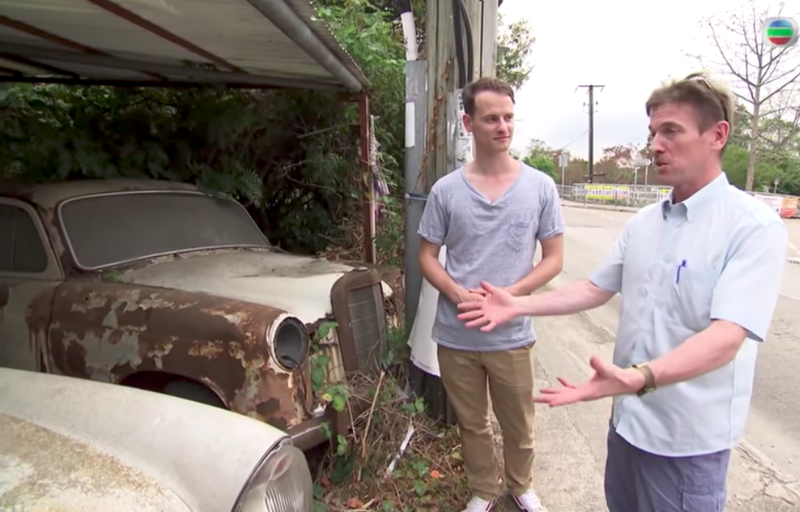 If you’ve seen our videos on the incredible abandoned, discarded classic cars in Hong Kong, and longed to learn more, here’s an excellent new documentary discussing why these priceless gems were left to rot. It even features Victor Ma, my brother and me! In its final episode after 30 years, Hong Kong’s The Pearl Report (by TVB broadcasting company), dives deep into the culture surrounding the Special Administrative Region of China’s copious abandoned and trashed classic cars. The episode, appropriately called “The End Of The Road,” takes viewers not just to the cars themselves—as Jalopnik did in March—but also to government officials, local car club members, mechanics and car collectors. It’s a deep dive into a complex issue that’s heartbreaking for outsiders and downright frustrating for locals. The episode mentions a number of factors contributing to the mistreatment of these fascinating cars. There’s the government’s ridiculously strict safety inspections, complications arising from importation documentation, corruption, owners gaming the system by removing VINs and license plates, the astronomical cost of parking, depreciation, high repair prices, and a society that puts lots of emphasis on newness. I discussed many of these factors in my story back in March, but watch the video above to see a thorough discussion of what led to all those amazing cars—like that Honda NSX and Lotus Esprit—being left to rot out in in the Hong Kong countryside. There’s even a photo of a mechanic using a sledgehammer to pick pieces off a Rolls Royce, and there’s a fancy Daimler DS420—once owned by the Hong Kong Governor—that was restored after allegedly being found near a scrap heap. Hosted by James Aitken, it’s a well-executed glimpse into a situation that has had left me and lots of other car enthusiasts perplexed and also deeply saddened.